Microscopic creatures that had been frozen solid for over thirty years were revived in an extraordinary research carried out by Japanese scientists. The super-tiny tardigrades had been collected in Antarctica in 1983 and stored at (minus) -20 °C (-4 °F) for 30.5 years. After coming back to life from their three-decade state of frozen suspended animation, the microscopic animals continued breeding as if nothing had happened. Tardigrades, also called moss piglets or water bears, are microscopic, eight-legged, segmented, water-dwelling animals. These tiny barrel-shaped creatures that clamber around on eight stubby legs, live mainly in puddles and small freshwater pools. They feed on the juices of moss and other plants, and measure just 1mm in length. 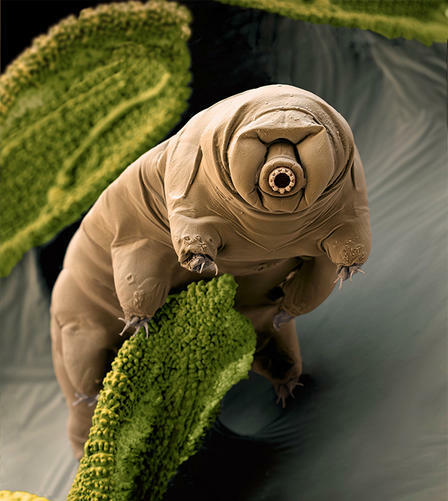 The tardigrade is an extremophile – an organism that thrives in extreme environments. It is the only animal that can survive in the extreme conditions in the vacuum of outer space. Megumu Tsujimotoa and Hiroshi Kanda, from the National Institute of Polar Research, and Satoshi Imura, from the Graduate University for Advanced Studies (SOKENDAI), both in Tokyo, Japan, wrote about their research and achievements in the academic journal Cryobiology. Long-term survival has been extensively studied by scientists, particularly extraordinary physiological characteristics of cryptobiosis in micrometazoans such as rotifers, nematodes and rotifers. Cryptobiosis refers to a physiological state in which a living being’s metabolic activity is reduced to an undetectable level, but it has not died. It is a known characteristic of some plant and animal groups adapted to survive periods of extreme cold or ultra-dry conditions. In most studies looking at the long-term survival of micrometazoans (type of tiny creatures), the primary observation has been instances of survival. They do not generally report on the creature’s recovery conditions or subsequent reproduction. 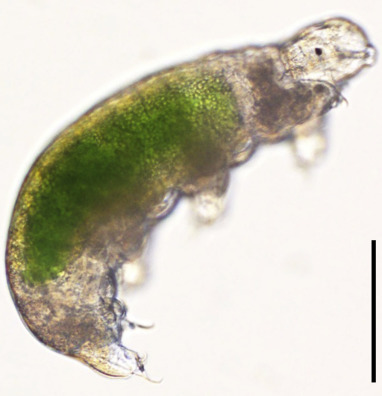 Tsujimotoa and colleagues documented recovery conditions and reproduction immediately after the tardigrades, which had been frozen for over 30 years, were revived. They recorded the recovery of two Antarctic tardigrades (Acutuncus antarcticus) and the development of a separate egg. This were the longest records of survival ever for tardigrades as animals or eggs. After their revival (resuscitation) and recovery from long-term cryptobiosis, two individuals and a hatchling reproduced successfully several times. This amazing extension of the known length of long-term survival of these tiny creatures is linked to the minimum oxidative damage likely to have resulted from being stored under stable frozen conditions, the authors wrote. Citation: “Recovery and reproduction of an Antarctic tardigrade retrieved from a moss sample frozen for over 30 years,” Megumu Tsujimotoa, Satoshi Imuraa & Hiroshi Kanda. Cryobiology. December 2015. DOI: 0.1016/j.cryobiol.2015.12.003. Tardigrades are the only creatures that can survive the extreme environment in the vacuum of outer space.